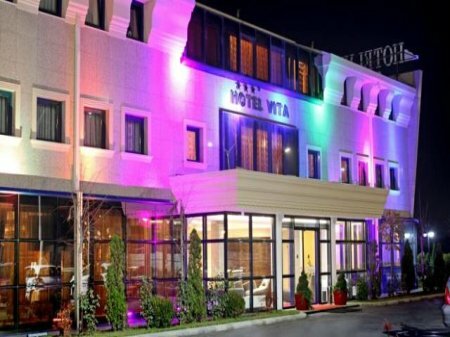 Hotel Vita is Located 5 km from the centre of Fushë Kosove and 1 km from Pristina International Airport Adem Jashari, Hotel Vita offers a spacious terrace that hosts the on-site bar and restaurant which serves international dishes. 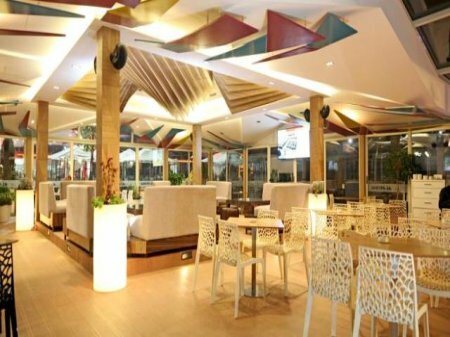 Free WiFi access is available.All rooms are with air-conditioned and come with a flat-screen satellite TV, a safe and a fridge. 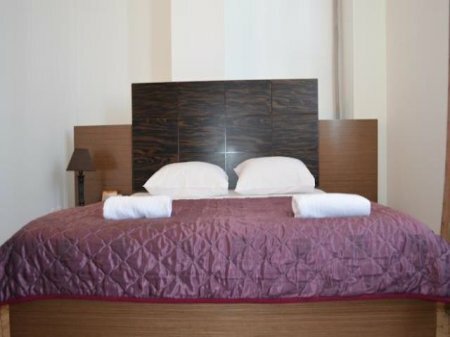 Each room has a private bathroom with a shower and also includes a hairdryer and free toiletries. 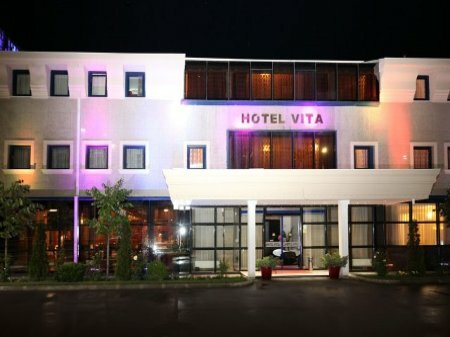 Towels and linen are provided.Hotel Vita runs a 24-hour front desk and also offers a children's playground. 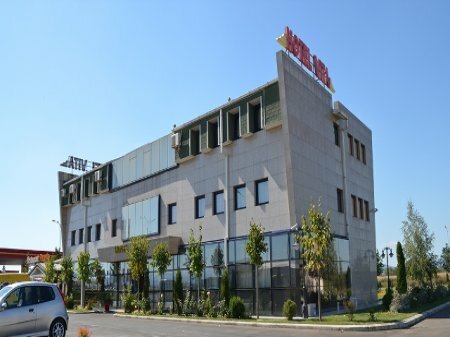 Other facilities offered include an ironing service and a laundry.Priština Airport is 1 km away, while the Main Bus Station is located in Fushë Kosove centre. The town of Priština is 14 km away. The property offers free parking.